This nozzle is designed for water using full jet and spray stream. 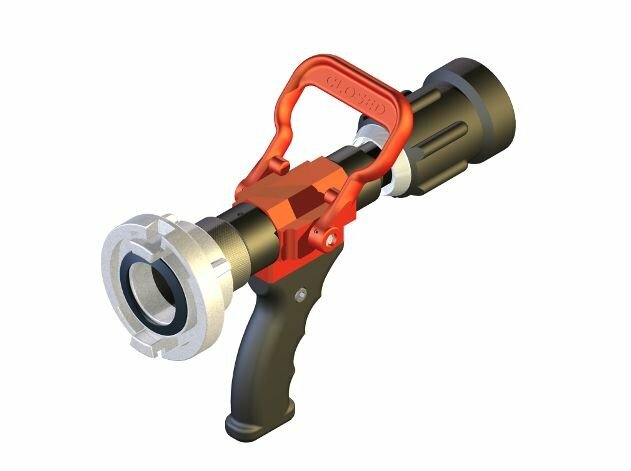 Fire nozzle Tajfun – Profi D/C consists of its body, a horse-shoe on-off lever, a ball valve, a revolving rubber-coated head of Al alloy, a swivel inlet flange and a rubber pistol grip. The lever is used to close or open the nozzle. 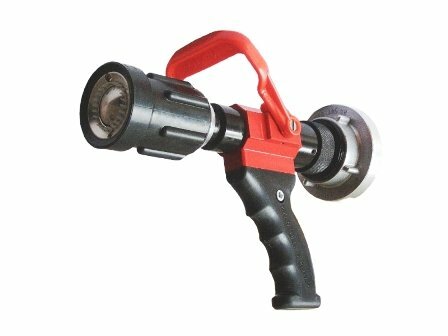 Using the revolving head you can change smoothly the pattern from full jet to spray or even to a fog screen and to shut off the nozzle. Adjusting the screen to its maximum position has a flushing function. The nozzle outlet is fitted with a rotary flow breaker. The swivel inlet flange is fitted with a C52 rigid, pressure coupling to ČSN 38 9427. 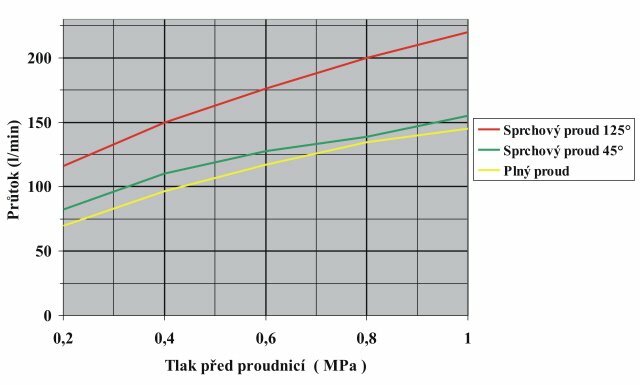 All the materials used were selected and their surface treated in view of exceptional stress to which the nozzle may be exposed during a fire-fighting action. 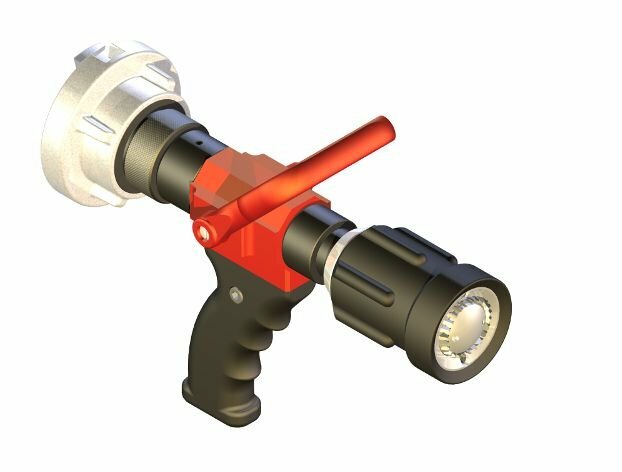 This nozzle is designed for water using full jet and spray stream, especially for extinguishing dusty and easily swirling substances (e.g. coal, flour, etc.). 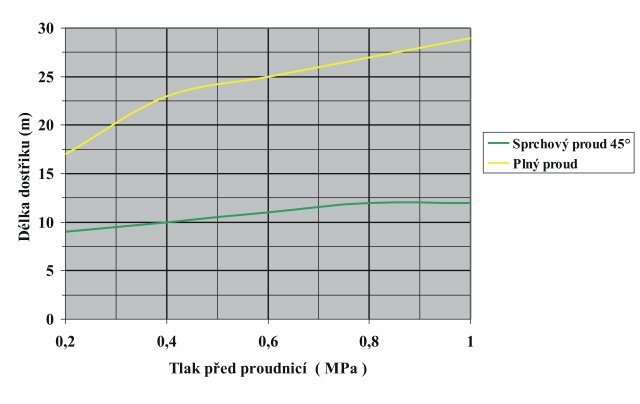 Tajfun-Profi D/C will find its use in apartment fires, coal management facilities, in the power industry, coal boiler rooms, farming facilities and for forest fires. When extinguishing apartment fires, we recommend the pattern of dispersed fog for a maximum extinguishing effect with minimum consumption of water in order to minimize the damage resulting from the action. The advantage for the fire-fighters is the possibility of closing and opening the nozzle anytime while keeping the stream pre-set.